Does Peanut Butter Interact With Warfarin? Protime, also known as prothrombin time or PT/INR, is a blood test that measures how long it takes your blood to clot. Protime is checked regularly if you take warfarin, a blood-thinning medication that prevents dangerous clots from forming and blocking blood vessels in your heart or brain. Certain foods affect protime. Follow your physician's instructions if you need to avoid foods that affect your protime. Vitamin K interacts with warfarin and affects protime. A sudden Increase in your vitamin K intake decreases the effect of warfarin and increases your risk of a blood clot. Conversely, a large decrease in your intake of vitamin K increases the effect of warfarin and increases your risk of bleeding. To keep your protime within the recommended range, take warfarin as directed at the same time every day, keep your vitamin K intake consistent from one day to the next and have your protime checked as prescribed by your doctor. Limit foods that provide you with more than 60 percent of the recommended daily value of vitamin K to keep your protime in the target range. 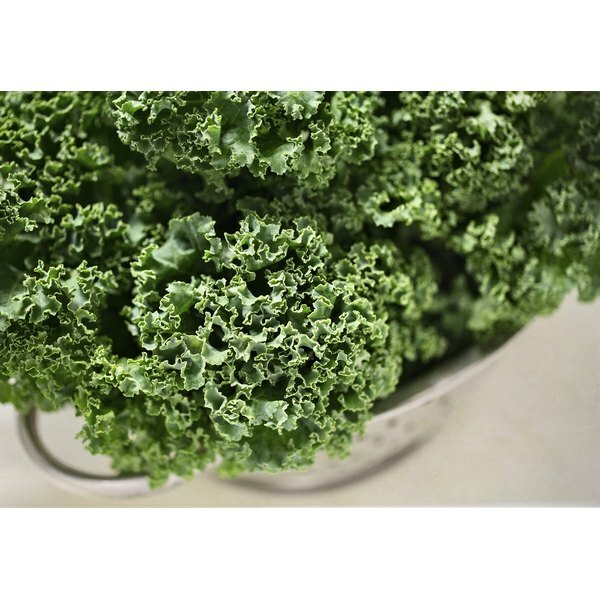 Foods high in vitamin K include kale, boiled spinach, collard greens, frozen turnip greens, Swiss chard, parsley and mustard greens. Foods moderately high in vitamin K include Brussels sprouts and raw spinach, raw turnip greens, green leaf lettuce, and raw broccoli, endive and Romaine lettuce. Limit your intake of foods high in vitamin K to one serving per day and foods moderately high in vitamin K to three servings per day. One serving equals 1/2 cup, except for parsley -- one serving equals 1/4 cup. Drinking more than three alcoholic beverages each day increases the effects of warfarin and your risk of bleeding. One drink is equivalent to 5 oz. of wine, 12 oz. of beer or 1.5 oz. of liquor. Some doctors advise their patients to avoid alcohol while taking warfarin. Follow your doctor's instructions. Be careful if you add herbs and supplements to your diet, because some affect protime. They include cinnamon, ginseng, ginkgo biloba, ginger, horse chestnut, St. John's wort, sweet woodruff, willow bark, wheat grass, turmeric, dong quai, feverfew, arnica, garlic, licorice, sweet clover, red clover, vitamin E and any supplements that contain vitamin K. Talk to your doctor or pharmacist before taking any herbs or supplements while on warfarin. American Family Physician; Herbal Remedies: Adverse Effects and Drug Interactions; Mar. 1, 1999; Melanie Johns Cupp, PHARM.D. Why Is Taking Coumadin & Cranberry Juice or Tablets Harmful Together? Should I Eat Kiwi Fruit If I Take Blood Thinners?